Lin - Instrumental Release | VKH Press – J-Rock & Visual Kei Coverage Worldwide! Visual kei guitarist Lin is coming out with a solo release! 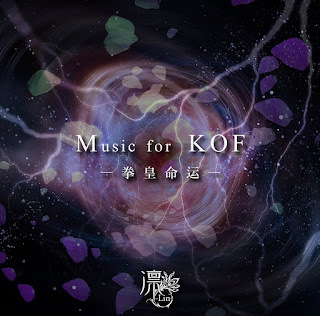 The three song compilation, titled Music for KOF -Quanhuang Mingyun-, has been created for the Chinese animation King of Fighters -Destiny-. Look out for its international release on December 20, 2017! It's now easy to keep up with Lin's future activity too! Recently, Lin opened his own official website in both Chinese and Japanese, to be found here. For more English content from Lin follow his Facebook page, which is updated in both English and Japanese!